I broadcast live every Friday at 11:30am EST on the Gathering Inkspiration Stamp Studio Facebook Group. If you can't catch it live, I'll upload the recording here and on the Gathering Inkspiration Stamp Studio Youtube Channel. And... if you're not already a member of the Gathering Inkspiration Stamp Studio Facebook Group, pop on over and ask to become a member! 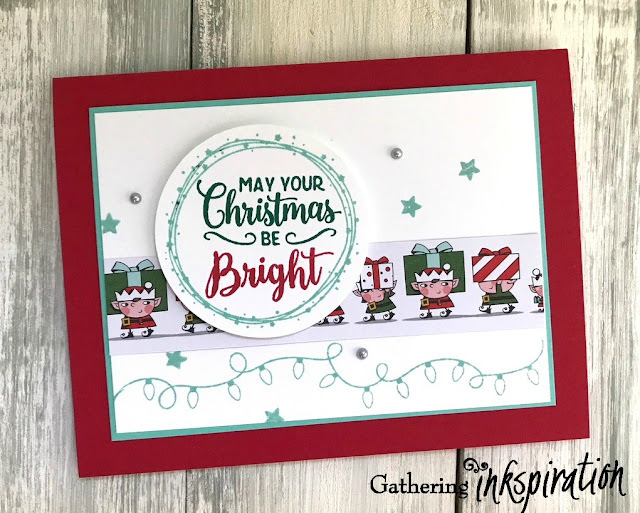 This week, I demo'd 2 fun projects - a card featuring the Making Christmas Bright Stamp Set and a treat holder featuring the Festive Farmhouse Designer Series Paper!!!! 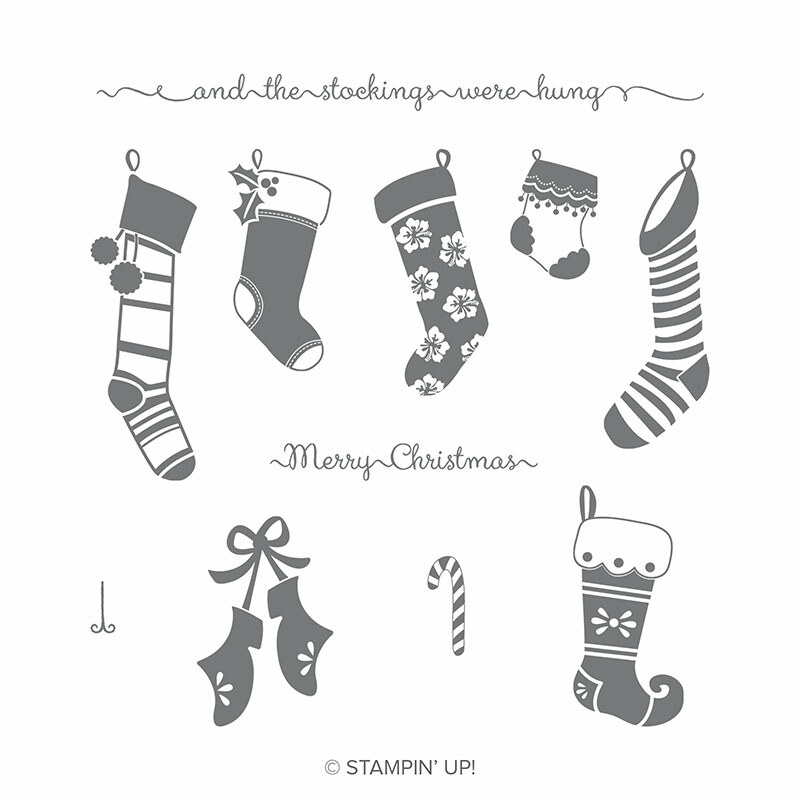 and.... drew for the winners of the MERRY MERLOT & COPPER REVERSIBLE RIBBON AND THE WARM HEARTED HOST STAMP SET!!! Wow!!! What a great day!!!! 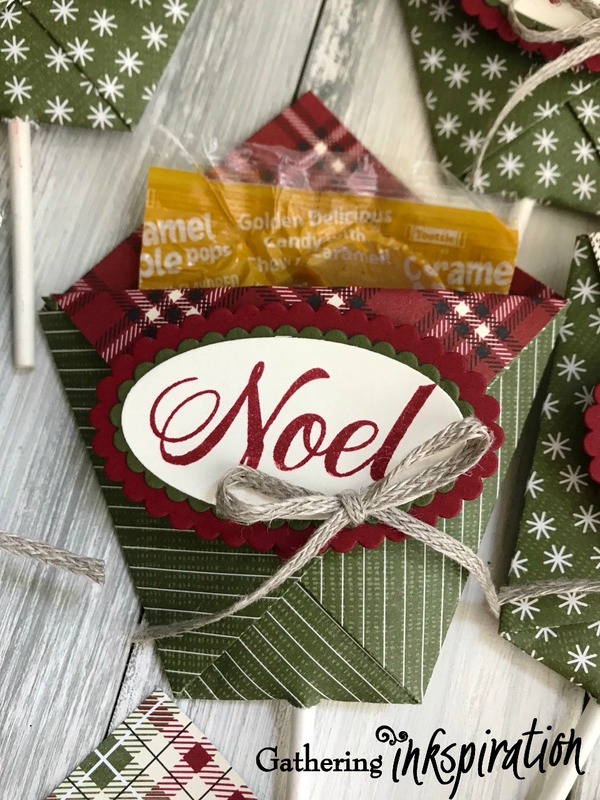 This first project is a fun sucker/treat holder that features Festive Farmhouse Designer Series Paper (147820), Peaceful Noel Stamp Set (147694), Braided Linen Trim (147808) and the Ovals Collection Framelits (141706)!! This next card features the Making Christmas Bright Stamp Set (148046), Santa's Workshop Specialty Designer Series Paper (147809), 2 1/4" Circle Punch (143720) and the Metallic Pearls (146282). REMEMBER.... if you put in an order ($30 minimum) by midnight on Wednesday, October 3, I'll send you the projects I demo'd in the video for FREE!! And.... your name is entered into the drawing to win the HUNG WITH CARE HOST STAMP SET!!!!! Bump your order up to $50, and you'll also a free embellishment in your thank you package, too!! 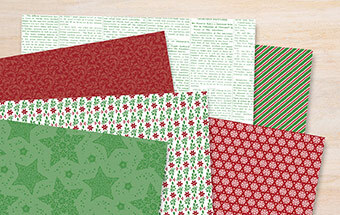 IF YOU ORDER BY SUNDAY, SEPTEMBER 30, YOU'LL ALSO RECEIVE A SAMPLER OF THE DASHING ALONG HOST DESIGNER SERIES PAPER!!! But, your order MUST be in by Wednesday, October 3 at midnight!! That's how I'll know you ordered!! The $1000 Workshop ends today!! The Holiday Catalog is Live!!!!! My September Host Code Giveaway! !